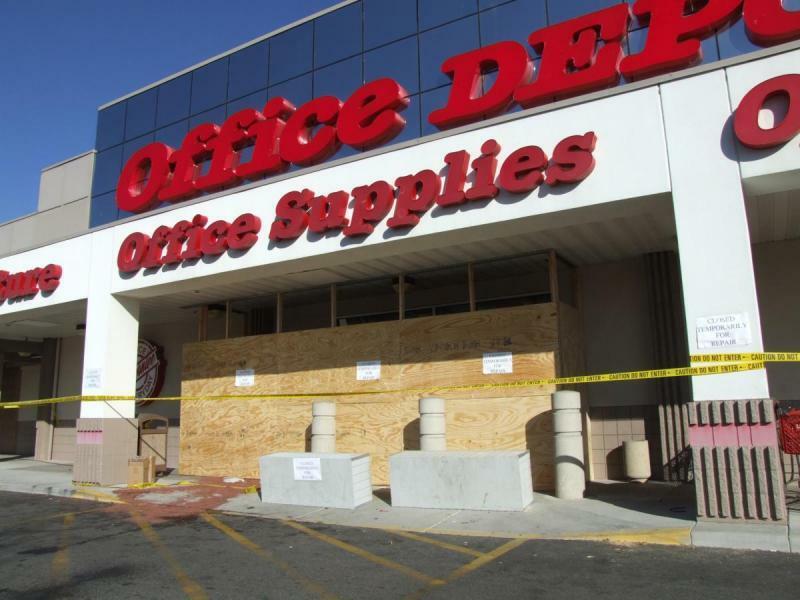 The Office Depot in Carson is closed until further notice. Yesterday a driver passed out behind the wheel and crashed right into the front doors of the building. The collision sheared off one of the bollards that’s supposed to stop cars from driving through, and the van ended up stuck halfway in the wall by the customer service desk. The driver and his wife were both taken to the hospital, but no one else was hit. I think everyone’s just lucky it wasn’t a busy day, or else pedestrians would have been diving out of the way left and right. There was one close call, though, as an employee entering the store narrowly avoided being run over. 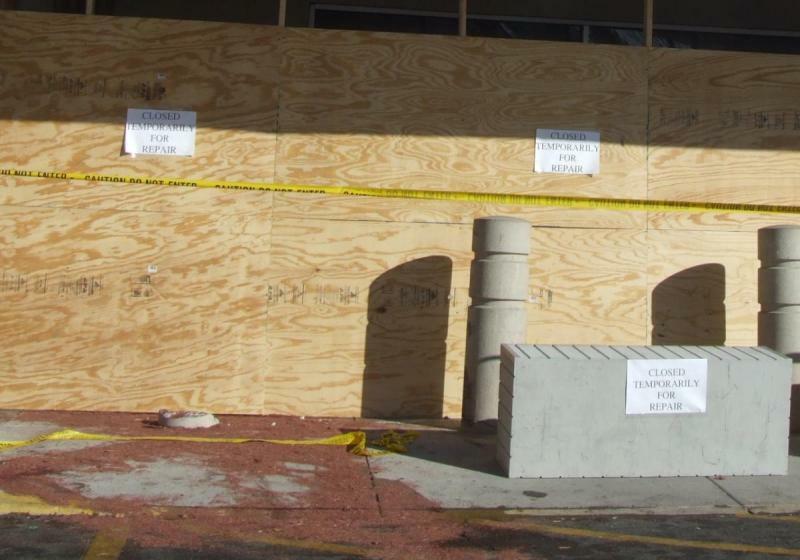 The store will stay closed until the wall and doors can be repaired. Damn tweekers! Nice photos and blog.